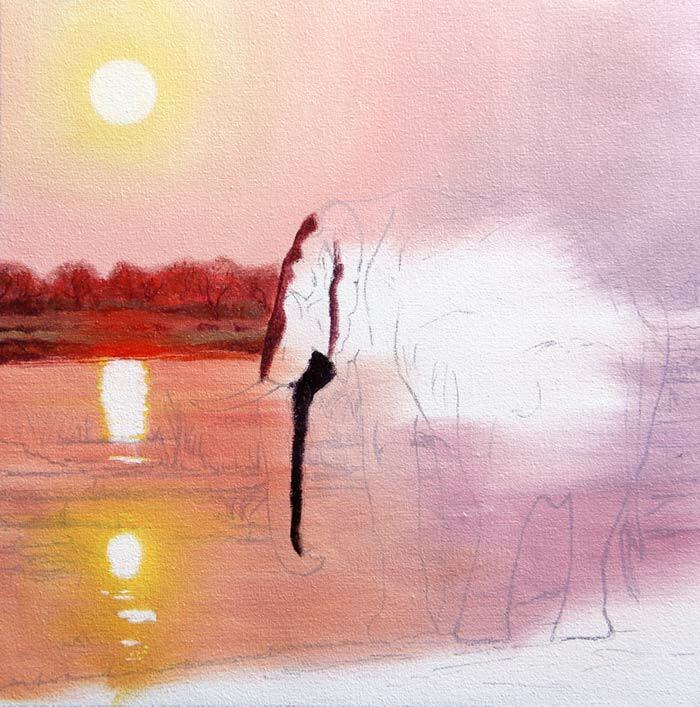 Just started my latest original painting – elephant in sunset. 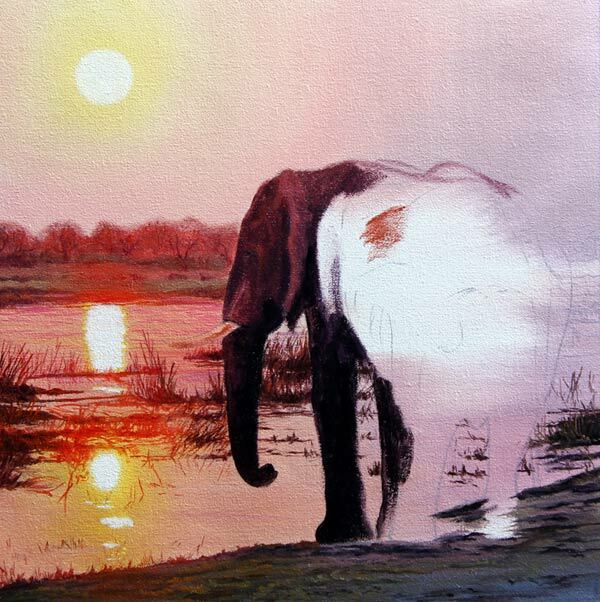 It’s 8 x 8in oil on canvas. I hope to auction it on eBay within the next week or so. Here are a few photos of the initial stages.